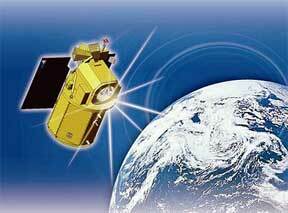 ...the National Space Organization (NSPO) in Taiwan for the agency’s new FORMOSAT-5 imaging satellite. The system of release and hinge mechanisms is a flight-tested design that will deploy dual solar arrays and lock them in a stiff configuration, minimizing structural flexibility to enable the satellite’s primary mission of high-resolution Earth imaging. Honeybee delivered two flight models and one qualification model, a total of six hinges and six release mechanisms. The design is based on flight-tested hardware that successfully deployed solar arrays on USAF STPSat-1, launched in 2007, which had 8 Honeybee hinges deploy 4 panels with 100% success. FORMOSAT-5 is a 525kg imaging satellite that will occupy a sun-synchronous orbit at 720km. Its primary payload includes two instruments: an optical Remote Sensing Instrument (RSI), which provides 2m-resolution panchromatic images and 4m-resolution multi-spectral images. An Advanced Ionospheric Probe (AIP) will be the secondary payload. FORMOSAT-5 is currently scheduled to launch in 2014.